Data recovery is a complex task that is not easily accomplished without the right tools at your disposal. Much of it depends on how the data was deleted, lost or corrupted. For instance, data that has been overwritten with strong algorithms usually can’t be recovered except with premium tools; sometimes, not even then. In most other cases, a fairly comprehensive free tools such as EaseUS Data Recovery Wizard 12.0 will get the job done. The process of using the software is relatively simple. There aren’t any complex settings to worry about, so even if you’re a novice with lost files, it should be a piece of cake recovering them with this particular file recovery software. Why do we recommend it? The free version of EaseUS Data Recovery Wizard 12.0 offers up to 2 GB of data recovery, which is better than most considering its superior capabilities. Possibly the biggest draw is the fact that the software counts no less than 72 million users. That’s an ecosystem on its own! With that big of a user base, it’s no wonder the company that makes the software is kept busy pushing update after update to keep adding even more features. For example, the latest version includes even more data loss scenarios, including formatted, deleted or even inaccessible data due to virus attacks, OS crashes and lost partitions. Another important feature that makes it stand out is that it can recover data from practically any storage device, not just your computer’s hard drives. From pen drives to RAID arrays to camcorders and digicams, EaseUS just works, to put it simply. It’s also got support for one of the widest range of file systems among comparable software, including cutting edge ones such as Microsoft’s ReFS or common ones such as Apple’s HFS+. 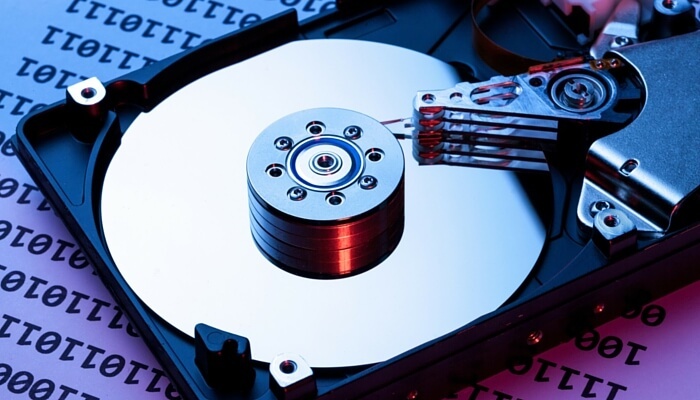 A lot of data recovery tools will claim to support multiple file systems, but when the rubber meets the road, the whole thing unravels into a mess of incompatibility. This software, however, seems to keep its promise. While the free version is more than adequate for the average user, you might also consider upgrading to the Pro or Pro + WinPE versions, the latter of which offers a downloadable WinPE to help you boot up after a crash. But even the free version doesn’t hold back on the types of files that can be recovered, which is very useful in a pinch. On the whole, if you’re an average Windows user, you won’t usually come across lost data on a regular basis. The 2 GB limit on the free version should be more than enough to recover the odd image or even movie file that you know you had but is now missing. Upgrading is a good idea if you intend to recover data from an entire drive or you’re keen on lifetime upgrades and tech support. Single user licenses are reasonably priced, we feel, and you won’t feel the pressure on your wallet when it’s a choice between spending a few bucks or losing valuable data forever. What we recommend is to download the free version and take it for a test drive on a tough assignment, like recovering a few image file from a badly damaged external hard drive, for instance, or maybe some short video clips from an old SSD card that you haven’t used in a couple of years…something with an obscure file format like. After all, with the software covering more than 1,000 different file types, it won’t be that hard finding a challenging task for the software. Finally, when you’re convinced that you can recover deleted files of any type from nearly any type of memory, then you can upgrade to one of the Pro versions. On the flip side, we found that the deep scan function took slightly longer with EaseUS than with another, comparable utility. However, they seem to have sped up the process on the latest v12.0. Besides this, you’ll have to go through the quick scan in order to access the Deep Scan function. Not sure why they set it up that way, but we guess it’s to discourage people from accidentally doing a deep scan and being disappointed with the time it takes. To be fair, a proper deep scan can take hours if you’ve got a large drive with a ton of data. But newbie users might not know that. Anyway, just guessing here. Overall, we score this data recovery software an 8.5 out of 10, with points lost for a couple of minor things like not being able to scan specific folders even if you know where the data was deleted from. Minor things, but they do take away from the overall experience, especially if that was your particular need.